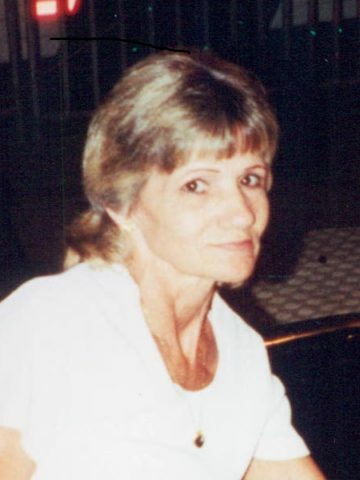 Betty Jean Rhodes –Age 66, passed away Sunday, February 10, 2019, at her residence in White Bluff, TN, after an extended illness. She is survived by husband of almost 50 years, Myrlan Wayne Rhodes; children, Myrlan Wayne Jr., Christopher Michael and Misty Dawn; grandchildren, Matthew and Chasity; 2 sisters, 1 brother. She is preceded in death by her parents and numerous siblings. Betty loved to Bowl. One time she came close to bowling a perfect 300. She was known for being silly, but she could be stubborn at times. She loved roses. A Celebration of Life will be Wednesday, February 13, 2019, at 11:00am at West Harpeth Funeral Home. Interment will be at Harpeth Hills Memory Gardens (Garden of Serenity). Pastor Tony Larkins will officiate the service. Family and friend will serve as pallbearers. Visitation with the Rhodes family will be on Tuesday from 11AM-8PM, and Wednesday 9AM until the service time both at West Harpeth Funeral Home. Aunt Betty I love you and I’m sorry you left us so soon but I know the Lord was ready to his angel home so you wouldn’t be in pain anymore I love you and will miss you. you will never be forgotten forever in my heart fly high my beautiful angel Betty Jean Rhodes. My condolences to the family of Betty Jean Rhodes. Our loving Heavenly Father, Jehovah, has given us the wonderful assurance that we can see our loved ones again by means of a resurrection to an earth transformed into a beautiful paradise. (Acts 24:15) We can always rely on the God of comfort to help u endure any trials or obstacles, especially the painful loss of a dead loved one. Dear family and loved ones, I was sorry to read about the passing of Mrs. Rhodes. Please accept my sincere condolences for your loss. It has helped me and many others to know that the Bible promises that soon God “will swallow up death forever” (Isaiah 25:8) and that He will bring about a resurrection of our dear loved ones (John 5 : 28, 29) . May “the Father of tender mercies and the God of all comfort,” comfort you during your time of sadness (2 Corinthians 1: 3).